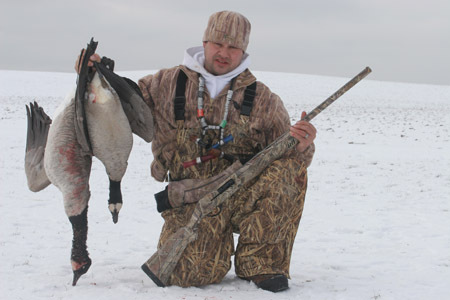 Now is the time to start planning your early-season waterfowl hunts. Look north to catch the beginning of the fall migrations. Did you know these refuge facts? It might seem like the ultimate contradiction: hunting on national wildlife refuges, those very places set aside to give wildlife a rest when they need it the most. But refuges serve a dual purpose, one that includes the human element. In many cases, hunting serves not just as a tool to control wildlife populations like deer, but as a recreational opportunity when it doesn’t harm overall wildlife populations. Besides, hunters actually paid for those refuges through the purchase of a Federal Migratory Bird Hunting and Conservation Stamp, better known as a duck stamp. Since they were first sold in 1934, federal duck stamps have raised about $700 million and helped purchase 5.2 million acres of habitat under the refuge system. In fact, revenue from duck stamps is the primary funding source for refuge purchases and maintenance. alf of the United States as birds from Canada start to filter across the border. Some are open to the public with no restrictions, meaning hunters are free to come and go as they please, while others are only open through a drawing or lottery system. Like any new hunting area, it can take a few trips to learn the ropes, but when you figure out the system and the best places on the refuge, you can have a memorable season. There are about 300 refuges open to some sort of hunting, including dozens of federal refuges open to waterfowling throughout the northern United States. Here’s a look at ten great places to throw out a decoy spread. One in a series of refuges on the California/Oregon border, Tule Lakes offers great opportunities for Canada and specklebelly geese, said Curt Wilson, a regular visitor to this refuge. Mallards and wigeons also are abundant, and hunters might encounter gadwalls, pintails and a few divers. On most days, hunters have to stop at 1 p.m., but toward the end of the season, some days are open to hunting all day. “Those afternoon hunts can be very good,” noted Wilson. 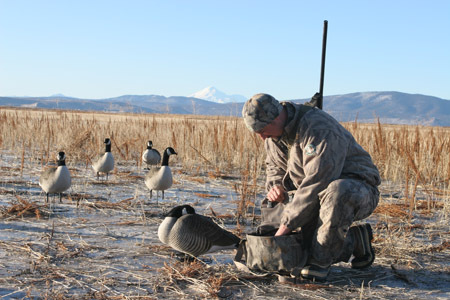 Tule Lakes NWR consists of about 40,000 acres, with 17,000 acres in crops that provide excellent dry-field hunts. The rest of the refuge consists of shallow impoundments, deeper pools where boats are required, and grasslands. The refuge also allows pheasant hunting. Formerly known as Salt Meadow NWR, the Stewart B. McKinney NWR consists of ten tracts of tidal salt marsh totaling about 1,000 acres between New Haven and Hartford. Only one 165-acre unit, Great Meadows, is open to hunting, but opportunities can be good for such species as black ducks, mallards and brants, prized birds available only on the East and West coasts. Refuge manager Rick Potvin said hunts are limited to three days per week, and hunters must have a free permit. He said there is no limit to the number of hunters allowed each day, but crowding is rarely an issue. Access to the hunting area is by foot or boat, but Potvin said those who use a boat tend to have better success. Contact: (860) 399-2513. Located in southeastern Nebraska, Rainwater Basin consists of 61 tracts totaling more than 23,000 acres in 14 counties. The wetlands are part of the refuge system’s waterfowl production areas and include dozens of large and small ponds. Not all of the pools have water, which can limit the number of waterfowl on federal lands at any given time. Still, those that do have water hold lots of ducks and geese in fall. He added Canada geese are frequent visitors in the fall, and hunting for them either over water or harvested grain fields can be outstanding. State and federal regulations apply, but there are no special permits or restrictions to hunt these areas otherwise. Contact: Rainwater Basin NWR website or call (308) 236-5015. One of the most unique waterfowl opportunities is limited to just a handful of states, and Utah is one of the few that allows tundra swan hunting. According to refuge manager Bob Barrett, as many as 30,000 tundra swans winter on this refuge. Although not all of the 74,000-acre refuge is open to swan hunting, success rates can be quite good. Hunters must have a permit, available through the Utah Division of Wildlife Resources by drawing. Bear River also has a good number of ducks, including a strong cinnamon teal population in the early season, on the 41,000 acres of wetlands. Barrett said part of the refuge consists of grasslands with smaller pothole ponds. These offer intimate hunting opportunities for small groups. He noted that jump-shooting is also popular on the potholes, and pheasants are abundant in the grasslands. Because it’s just a short drive from Salt Lake City, Bear River does get its share of hunting pressure. However, that pressure is considerably lighter later in the season and on weekdays. Contact: Bear River NWR website, (435) 723-5887. Located on the coastal marsh of Delaware, Prime Hook NWR offers 27 permanent blinds on both federal and state land. Hunts are restricted to four days a week, and blind drawings are held each morning two hours before sunrise. While the refuge holds good numbers of snow geese, ducks get the most attention from hunters, said refuge manager Bill Jones. Pressure can get heavy, but it tails off toward the end of the season and is lighter during the week. Contact: Prime Hook NWR website, (302) 684-8419. With 216 waterfowl production areas covering 44,500 acres, finding a few birds of your own shouldn’t be a problem here. According to wetlands manager Kevin Brennan, success rates depend on water levels, and some marshes can go dry. That hasn’t been the case in recent years, he noted, and hunters have done well on mallards and blue-wing teal early in the season and divers later in the year. “We also have very good wood duck numbers in the early season and lots of Canada geese use the wetlands,” he noted. The areas don’t receive too much pressure, noted Brennan, because they aren’t close to any major metropolitan areas. Hunters are required to walk to hunting areas, which can also reduce pressure. Few regions of the country offer better waterfowl opportunities than the Dakotas. Not only are they the center of the Prairie Pothole Region, better known as the Duck Factory, they are also in the heart of the flyway for millions of ducks each fall. North Dakota offers fantastic public opportunities for birds that haven’t been hunted all season. The 120 tracts that make up the Audubon WMDs cover 31,000 acres in three west-central North Dakota counties. A variety of waterfowl, including ducks, light and dark geese and sandhill cranes, pass through the area, and hunters who scout can enjoy some fantastic shooting. Bird numbers depend on water, but this spring was a wet year, so there should be plenty of good pothole ponds to hunt. These properties also offer excellent upland bird, deer and predator hunting. State regulations apply, and no additional permits are required. Contact: Audubon Wetlands Management District website, (701) 442-5474. Snow and Canada geese are abundant at this 8,000-acre Finger Lakes region refuge, but they tend to avoid 400-acre Tschache Pool where hunting is permitted. However, duck hunting can be very good as Montezuma also holds thousands of mallards and black ducks, with as many as 100,000 mallards passing through the refuge on their way south. Hunters at this Finger Lakes region refuge are required to possess proof of passing a waterfowl identification course, and hunting is by a phone-in lottery system. Hunters are assigned a parking area, where they can launch non-motorized boats to find a place to throw out some decoys. Contact: Montezuma NWR website, (315) 568-5987. Covering 22,000 acres across 17 counties in north-central Iowa, the 200 tracts that make up the Iowa Wetlands Management District offer a variety of waterfowl hunting for a wide range of species. According to district manager Erich Gilbert, the properties were established for wetlands conservation and waterfowl production and provide excellent duck and goose hunting. 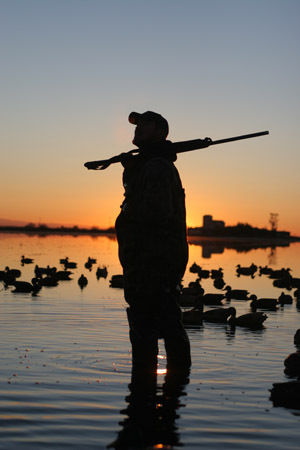 Some properties have grain fields, offering dry-field hunting opportunities for geese and ducks, while some include larger lakes that hold good numbers of divers and puddle ducks. Like waterfowl hunting anywhere, success on these pothole ponds and grain fields can depend on weather and bird flight patterns, but with so much land open to hunting, there are always a few birds around. Hunters are not required to have any special permit and are subject to state regulations and license requirements. Along with first-rate waterfowl opportunities, many of these areas have good pheasant populations, which also can be hunted. It’s a great mixed-bag opportunity. Hunters also can chase Iowa’s legendary whitetails on these properties. Contact: Iowa Wetlands Management District website, (515) 928-2523. 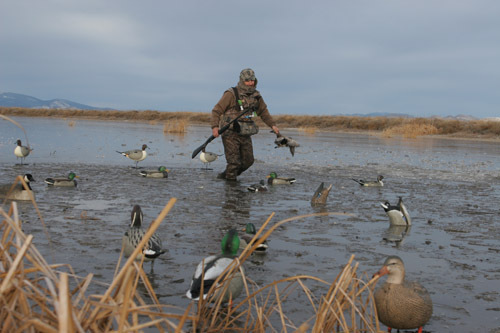 Located in the famed Columbia Basin, this 15,000-acre refuge draws mallards by the thousands and offers great hunting opportunities under both a lottery system on selected units as well as a walk-in system on other parts of the refuge. Alex Langbell, a guide from Richland, Wash., frequented the refuges throughout the Basin when he was growing up, and McNary was one of his favorites. Contact: McNary NWR website, (509) 546-8300.